About Us - OT/PT Professionals at Clay White, LLC - Who Do We Think We Are? Clay White, LLC is made up many Master's level professionals dedicated to providing additional therapeutic services to children already receiving Occupational Therapy, Physical Therapy, and/or Special Education services. We work with children with learning disabilities and dyslexia as well as those with Asperger's and autism. We have an in-depth understanding of developmental issues and how they relate to socialization, group awareness, and self-esteem. Clay White, M.Ed. For over 30 years, Clay has worked with children with sensory processing and motor coordination issues in a wide variety of public and private institutions. He has received state-wide as well as national awards for his work with hundreds of children in Atlanta every year. 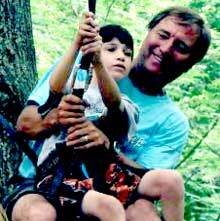 He has developed life-long friendships with scores of professional colleagues over the years, many of whom are directly involved with the PEOTSI DAY CAMP. Dyed in the wool TARHEEL. Stephanie Young, M.S.,OTR/L Steph did her master's thesis on the effectiveness of the Outdoor Sensory Adventures program while hiking with us 4 years. In her spare time she builds sensory playgrounds for Ukranian orphanages (no kidding). Stephanie Young will run bicycling and the Engine Club. During the school year, Steph is an OT at Atlanta Speech School. Brian Ivey, B.A. Brian has worked with Clay White, LLC for eighteen years, he helps run the PEOTSI Sports Program, and currently teaches at the High Meadows School. That experience comes in handy when taking kids on a day trip. 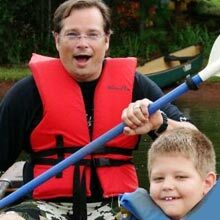 Whether it’s tubing down the river in Helen, zip lining across the lake at Camp Calvin, or playing with rabbits and pigs at Morning Glory Farm, Brian makes sure everyone has fun and gets back on time. 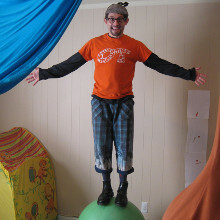 With three kids of his own, Brian has an invaluable perspective when it comes to balancing excitement with safety. Robyn Feldman, OTR/L received her undergrad and graduate degrees from Ohio State University. Robyn is an avid fitness enthusiast, serious about running and hiking , and is a very good tennis player. She works as an occupational therapist with Fulton County Schools as well as with Christy Kennedy in Decatur. Robyn leads a Social Club group for us, runs our Weekend Warrior Program, and does the overnight trips during summer camp. In her spare time, she manages the Atlanta Corn Hole League. Ryan Mitchell, B.S., OTR/L, SIPT developed a love of the outdoors and outdoor adventures as a teenager while earning his Eagle Scout Award. He continues to volunteer in the scouting program and participates in hikes, camping trips, and most recently swimming with the manatees in Florida. He is also a 3rd Degree Black Belt in Karate. 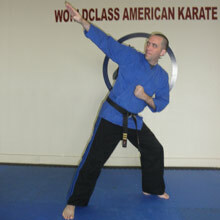 He combines his love of Karate and children with special needs in a special needs karate program (www.wcakarate.com). He has run the program for the past 8 years and has seen many gain confidence and accomplish goals that were previously thought to be unreachable. Ryan is currently an occupational therapist for Gwinnett County Public Schools. Ryan received his degree through the Medical College of Georgia and is a die-hard Atlanta Braves fan. Desiree' Thomas, M.Ed. Desiree’ is a DeKalb County elementary school teacher with eleven years of classroom experience. She has spent a large portion of her career teaching inclusive education. She earned her degrees from Saint Leo University and Kennesaw State University. Her love for performing and being on stage began at birth! She started taking improv classes and fell in love with it. 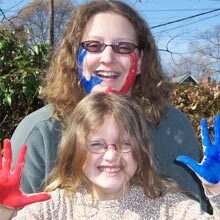 Through her classes she became involved with Shenanigans, an applied arts and theatre program for children with autism. Desiree’ is inspired by what improvisational acting can do to benefit all children. She brings years of experience, patience, a love for children, and lots of energy! Jenny Welty-Green, Ed.S, ATR-BC began her career as an art therapist working with Clay in residential treatment centers and psychiatric hospitals almost three decades ago. 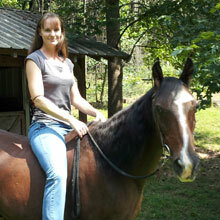 She holds certifications in art therapy, art and special education. She now primarily works with students with Emotional and behavioral challenges as well as autism through the GNETS special education program at South Metro. Her side gigs include working with Clay’s PEOTSI program (yes, she’s managed to tolerate Clay for 30 years…) as well as CHOA at Egleston, Piedmont-Fayette Cancer Wellness Center and bereavement work through Hospice of Northeast Georgia Medical Center. Since she’s a graduate of U of L, a casual Cardinal’s fan she is. 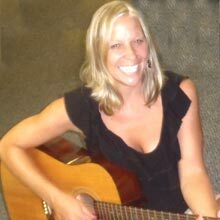 Beth Hampshire, NMT, MT-BC has done music therapy for twelve years. She owns and operates Music Therapy Services of Atlanta , which specializes in autism and other neurological conditions. 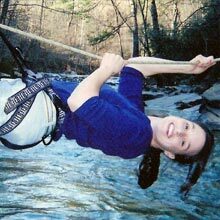 Beth has provided MT groups for the Emory Autism Center , as well as numerous schools and hospitals around Atlanta. 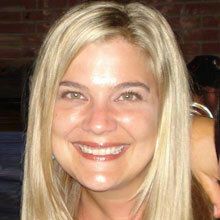 Beth is a graduate of Eastern Michigan U. and is currently working on an advanced degree through Colorado State. Nancy Noel, B.A. Every organization needs an IT person and Nancy is ours. 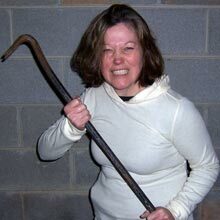 Nancy has dragged Clay White, LLC into the twenty first century; kicking and screamming the entire way. Every email or computer - generated bit of information that comes from our office has Nancy to thank for its existance. Gayle White, M.Ed. serves as "Fruitie Tootie",our fruit lady during the afternoon fruit break. 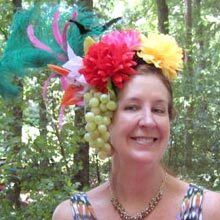 With eleven years of special education teaching experience in Fulton County, Gayle is eminantly qualified to slice watermelon, hand out oranges, and determine who has eaten too many grapes. In her spare time, she serves as Clay's wife. 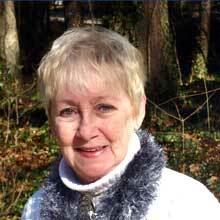 Carol Thomason Carol has been somewhat successful in keeping Clay White, LLC organized for over a decade. It is a monumental task, but Carol is always taking care of details, large or small. She ran the front desk at The Schenck School for years, but now enjoys semi retirement, which includes getting to know many of the kids and parents in our program. She's like the grandmother everyone should have. Most importantly, Carol collects money for most of our programs. Don't mess with Carol.